Test steering knuckle bushings (1). Lift front axle (2) using dolly Jack, and support with trestles. release brakes, and remove camber gage. Repeat steps b and c for opposite front wheel (4). bushings (1) or kingpins (5) as needed (page 2-819). Adjust steering gear (6) (page 2-1067). Repair or replace as needed (page 2-1067). 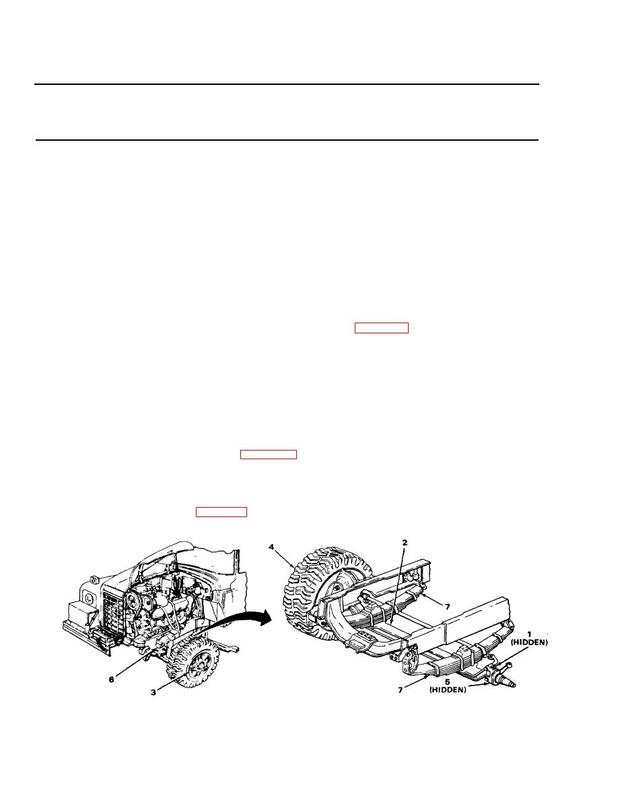 Replace front springs (7) (page 2-819).